Although the idea of spiritual evolution has no meaning yet for many people, those who have awakened to their own purpose will find the same truths whatever vocation or metier they pursue. Working with horses gives us the opportunity to remember that we are one part of a whole system of life, and that all beings are essentially one. The holistic principle we follow when looking after our horses is a reflection of the wholeness we can discover in ourselves. 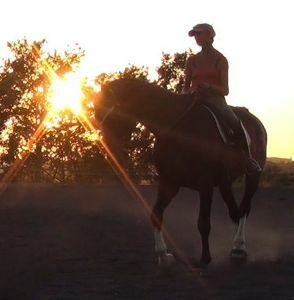 The energetic resonance we generate when riding in engagement, which expresses the intention of sharing a gift with our horses, is the same resonance experienced within profound meditation. 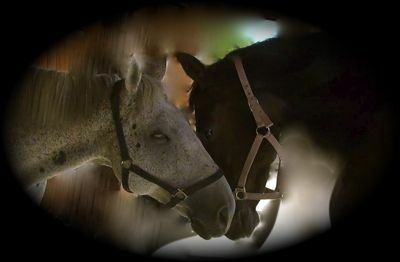 Horses are like a mirror which reflects back to us our state of mind and our motivations. Contrary to some thinking however, we believe that horses are very much individuals in their own right, and they are pursuing their own spiritual evolution which is just as relevant as ours. This is why we know that all difficulties encountered are not necessarily the 'fault' of the rider any more than the horse. Of course there is no fault as such, only limitations which can be addressed, and horses bring their own issues into the relationship as powerfully as we do. 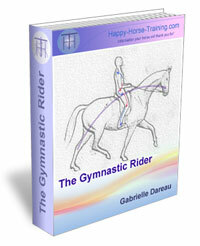 In fact the resonance between horse and rider in terms of their individual limitations is fascinating. We have found that people will attract exactly those horses who can help them to let go of whatever keeps them from being in the present moment. The beauty of this is that the reflection goes both ways and that a person will also provide their horse with whatever kind of contact they need. Even what appears to us as ignorance and cruelty in people, or unsuitability and lack of potential in a horse, spiritual evolution is always in process. It could be said that the difference between humans and horses is that it is our responsibility to find the solutions, because we have chosen to connect with the horse in this way. Part of our understanding of universal laws is that this choice that we make cannot contradict the horse's choice however, and that they choose their circumstances in the same way we do, as nothing in life is random. In this light it can be seen that as much as we are healing our horses, they are healing us, so maybe the point is that there is no leader, only companions in the journey of spiritual evolution. Moving towards this idea and loosening our concept of dominance and control is part of our self-acceptance. Many people say that animals are always in the present, and certainly they don't encumber their minds with the same continuous procession of past and future-based thought that we do. They do have their own ways of distracting themselves however - especially when exposed to human contact - and part of the gift we can make to them is to help them rediscover the present moment along with us. 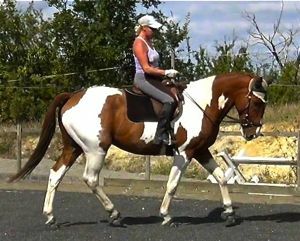 Although many people look to horses for help in their spiritual evolution, riding horses is often no more than an exploitation of their body and mind. 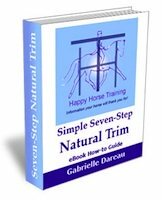 Having turned away from this form of riding quite early on in our riding careers, we have spent many years since studying how horses react to the rider in motion. Most people have an idea of the correct seat looks like, but riding is not accomplished in halt, it is a dynamic interaction. 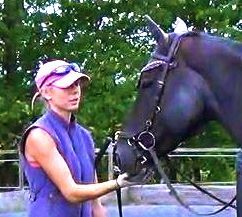 We have formulated much of what we understand about correct posture from listening to the horse, both what their body tells us and their mind. 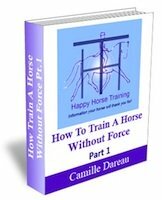 There are many complications which obscure the quest for understanding, but having faith in the existence of a truth which will serve both horse and rider in their physical health and spiritual evolution has always worked for us. This faith has helped us to meet people with the same intentions as us who have taught us exactly what we needed to know, as well as having helped us to attract equipment or products which were perfect for our needs. Every individual has their own strengths, and the secret is always in the balance. Balancing rationality with intuition, and theory with practice. When one of us is open-minded the other will often hold back and highlight the flaws they can see. We have never been shy to explore the boundaries of energy work. Concepts such as past lives and re-incarnation are perfectly normal for us. We believe in the power of crystals and homoeopathy, affirmations and angels. It is not necessary to have prejudices about certain forms of healing and not others because all healing is as simple as allowing energy to flow, and all of these techniques or ideas are only different ways of labeling energy processes to make them more accessible to our mind. Proving any of this scientifically is as meaningless as trying to bottle air, because conventional scientific measurement is limited to a very narrow one-dimensional range. The truth is that potential is unlimited. 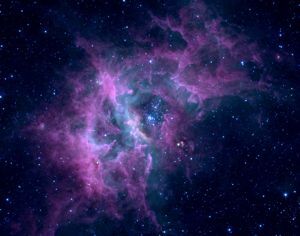 Anything and everything can exist, and we find what we are looking for - including proof - as we wish it to be. How does the concept of potential fit in with truth though? If there is truth then surely there must be untruth and 'wrong' ways of doing things. The way it makes sense to us is that we are all essentially going in the right direction, because it is only possible to remember our true nature, or to continue to forget. In this way there are many deviations and hold-ups, but the same limitations will re-surface until we address them and let them go. When we address them we see that they were never real, they were only images projected by our fear. The truth lies beneath our fear, like the sun behind the clouds. Fear is the instrument of our ego of course. The ego is the enemy of being and wisdom. Horses will show us our ego and forgive it, forgive in that they don't blame. We can also recognise ego in our horses - the other side of the glass from our own - and we can forgive it in them by refusing to blame them. Ego is like oil in water, it never changes our essential nature, which is love and therefore God - or Universal Energy - but it sticks close to us and we often identify with it without realizing. Working with horses without expectation and willingness to stay in each moment as it arrives requires great patience, and patience is the key to gentleness, one of the expressions of love. This is our form of competition - recognising the ego in ourselves and dissociating from it. When we win the prizes are more valuable than any red rosette or silver cup, and when we lose there is always another chance. This is a time when the spiritual evolution of the human consciousness is accelerating and the ego in all its forms is intensifying in response. This is our chance to save our world.